Separation Anxiety is the form of anxiety disorder which is characterized by a feeling of intense anxiety by a person after leaving his home or certain place where he was living. It also arises due to separation from someone’s close and dear family members due to strong emotional attachment. This type of anxiety is commonly found in children when parents want them to go to school, but they refuse to go and the reason is the sense of fear of being abducted or fear of losing the parents. When they are alone at home or anywhere, especially in the night, they may report unusual perceptual things and experiences. This separation anxiety is considered a normal stage of development in the children. It is known that a newborn, after attaining some age, becomes familiar with his surroundings and feels good among his parents and starts to cry due to fear when someone else tries to play with him. He only feels safe when he is with his parents. In children, it begins at the age of eight months and vanishes at the age of 15 months. So this is considered normal in them. The exact cause is not known. But only the fear of separation and person’s disability to cope up with this fear leads to separation anxiety. It is commonly seen in children and adult who do not leave their place or their loved ones because of this anxiety and fear. 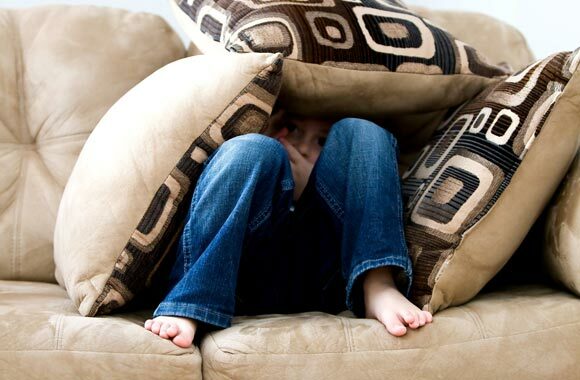 This anxiety arises due to people fear of monsters, the dark, animals, muggers, kidnappers, burglars, car accidents or from airplane travel and various other events or circumstances that are considered as presenting a danger to the person or to the integrity of the whole family of that person. Separation from home or from loved ones leads to the development of following conditions in a person. Refuse to go to alone anywhere due to some fear. Complaints of many physical symptoms which are of repetitive nature. The physical symptoms include increased heart rate, sweating, headache, nausea or stomach problems. Such symptoms remain for a period of about a month. They often lead to problems in person’s social, economic, educational as well as personal life. It is done on the basis of strange symptoms in people which arise after leaving someone or someplace to whom he was very much attached emotionally. Certain tests are also undertaken to rule out other cause or diseases. A complete history is important. This disorder needs no such medical treatment with the help of drugs. It can be treated with the help of therapies or different strategies. Cognitive behavioral therapy is considered good which enable the patients to overcome such anxiety state. It can be done on children as well as teenagers along with adults. It is an important therapy and it proved very beneficial. Parents should guide and advise their children and help them to overcome this fear. They should assure them that nothing bad will occur to them if they go out of the house.